These presentation slides 48040 are complete compatible with Google Slides. Simple download PPTX and open the template in Google Slides. 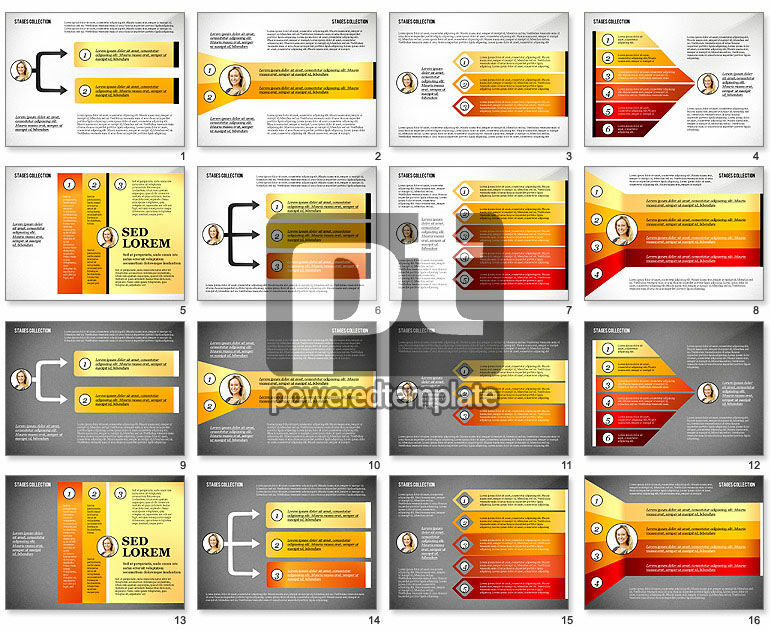 This fantastic template looks very cool and suits any kind of presentations connected with action planning, business strategies, business plans, key solutions, etc. It is created in a smart style with yellow and red palette on a few various backgrounds. There are arrows, human pictures and cool icons so feel free to use this sample in business, education, media, culture or other sphere.